For those of you new to playing Madden Mobile - this year things have changed and there are multiple 'Auction House Numbers' that your account could be classified under. 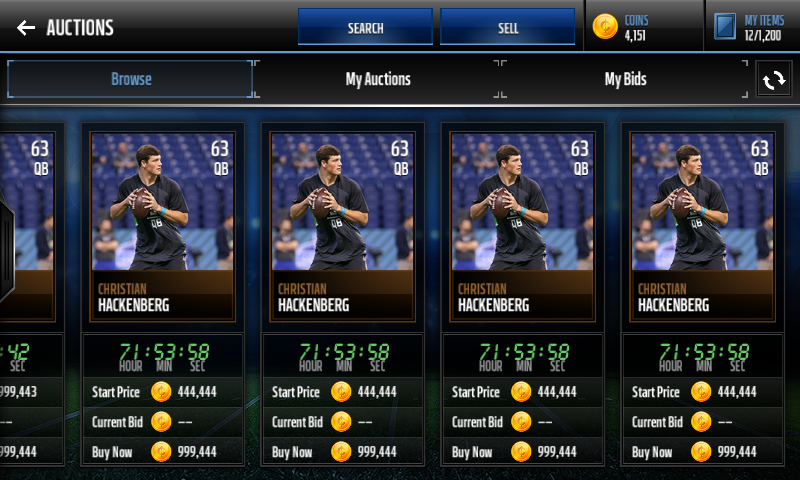 The issue that this presents is that you need to be on the same Auction House as another user in order to trade Madden Mobile coins or players. 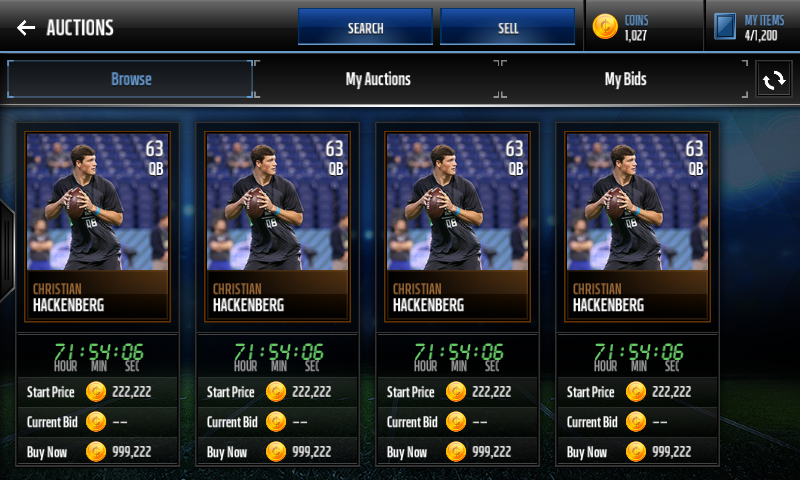 The first thing that you want to do is search for a unique player named 'Hackenberg', when doing so change the Buy Now limits to 999,111-999,444. Following on from finding out which Auction House your account is under, be sure to check that you are only trading within your Auction House so that you don't lose out on valuable time for those perfect Madden players you've found! 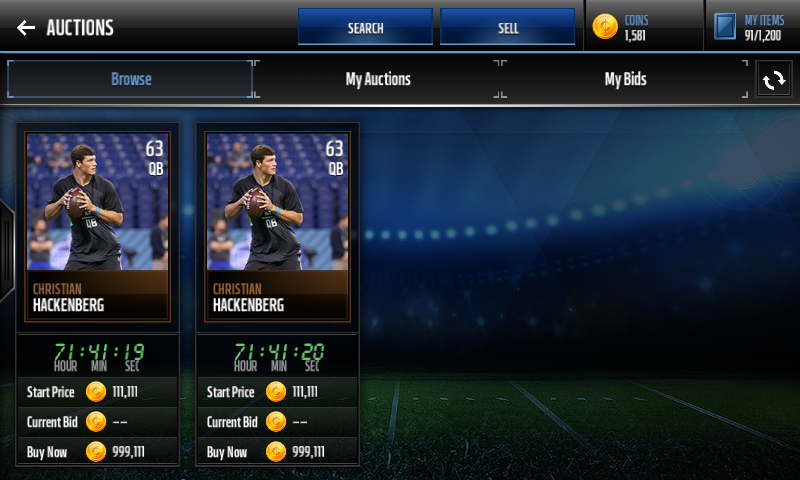 If you buy your Madden Mobile coins from MUT Coins, don't worry as we fully stock each Auction House at all times. 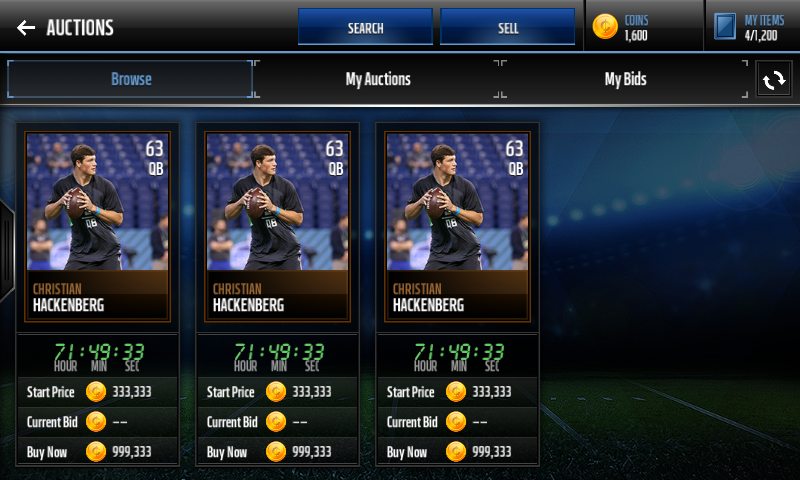 After purchasing, we'll search each of the Auction Houses for your player to make sure we purchase the correct player. This entry was posted in Madden, Madden Ultimate Team and tagged MUT 17, Madden Mobile Auction House, Madden Mobile, Madden 17 Ultimate Team, Madden 17, MUT Sets, Madden Ultimate Team, MUT, Madden Coins, MUT Coins on 3 January 2017 by Luchia Houghton.